The KODAK CHERISH C220 Baby Monitor helps you stay connected to your baby while they quietly sleep. Rechargeable batteries ensure worry-free operation at home or on the road. The long range and WiFi connectivity work with the KODAK Smart Home App, keep streaming HD video and crystal-clear audio as close as your smartphone. With a KODAK baby camera in your home, you can cherish all the beautiful moments of your baby's development without disturbing their sleep. 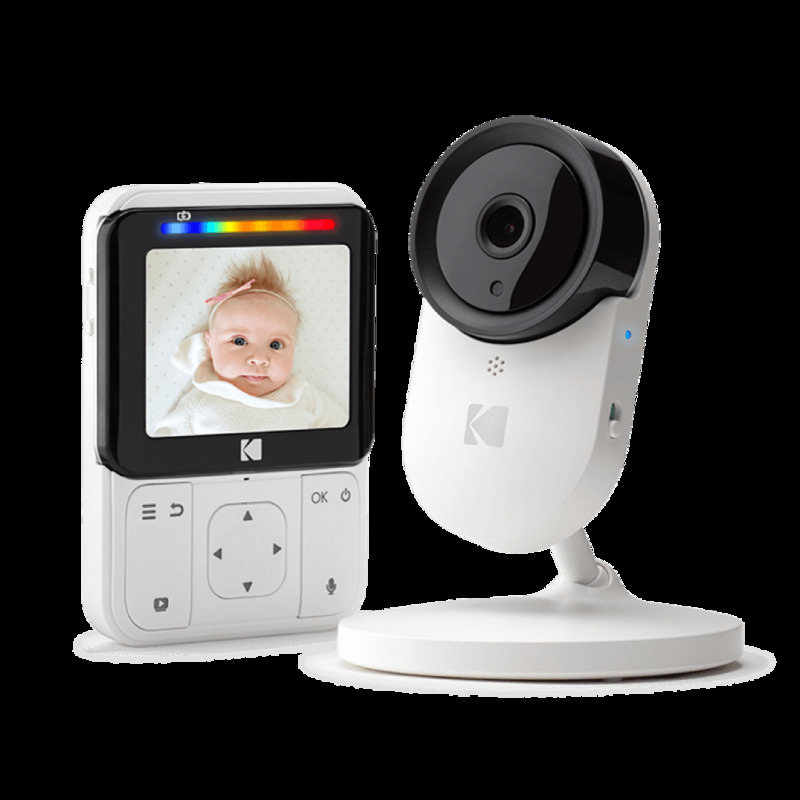 The KODAK CHERISH C220 lets you keep an eye on your little one, whether you’re in the other room or across the country. Your WiFi connected video baby monitor delivers HD video and audio any time of day or night. 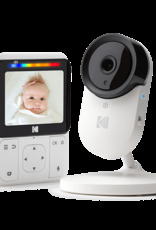 Access your baby camera feed in the way that works best for you: receive a smart feed to the baby video monitor, designed to work best in a home up to 4,000 square feet, as well as on your smartphone when you’re connected to WiFi. Built-in rechargeable batteries in both the baby monitor and camera let you take your KODAK CHERISH C220 on the road. With four-hour baby monitor battery life and five-hour baby camera battery life you can easily monitor activities throughout the house or hotel and stay connected during a power outage. Motion and Sound notifications are delivered from your video baby camera to the KODAK Smart Home App instantly. You’ll always know if your child is sleeping or awake, whether you’re at the office or right in the backyard. The large 2.8-inch widescreen display delivers a crystal-clear HD stream. The result is an uncompromised video that lets you monitor your little one right down to the twitch of a toe. Kodak’s Smart Home App and SD Recording lets you save the video stream from your KODAK CHERISH C220 video baby monitor, allowing you to revisit special moments for years to come and share them with loved ones.